Today is the first time that I’m tasting real almond milk in 10 years. I remembered loving it, without really remembering why. Now I know why. It tastes nothing like the watery, flavourless commercial product. It tastes like perfect almonds. 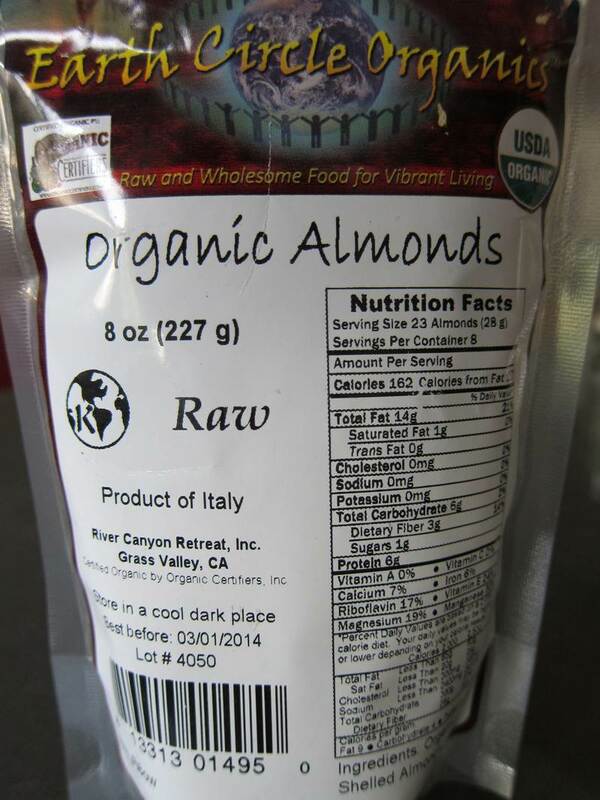 The almonds I was lucky enough to acquire were organically grown in Italy. 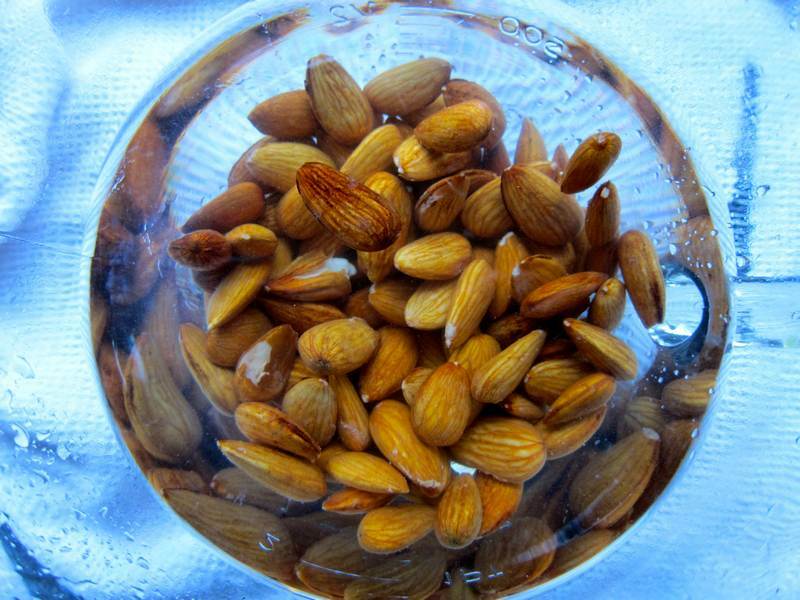 Soak almonds in water for 12 hours, then drain and rinse. 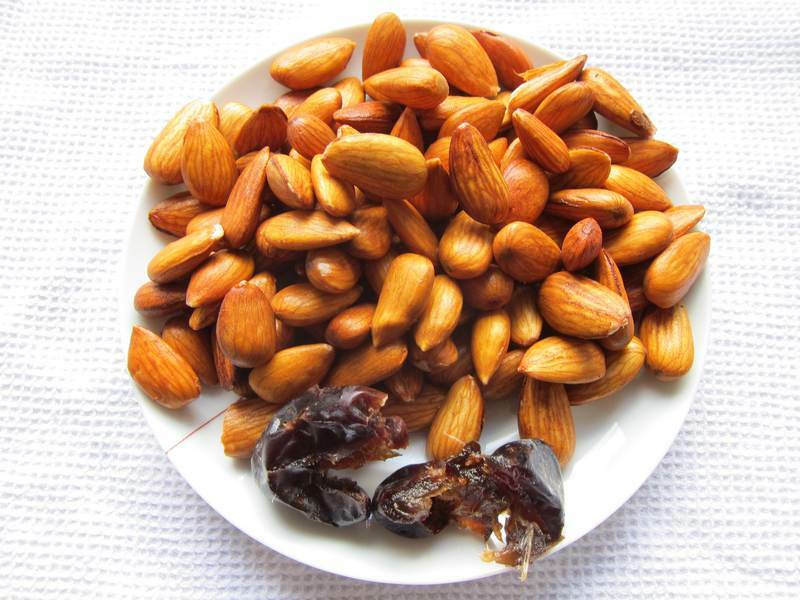 Combine soaked almonds, pitted dates and filtered water. 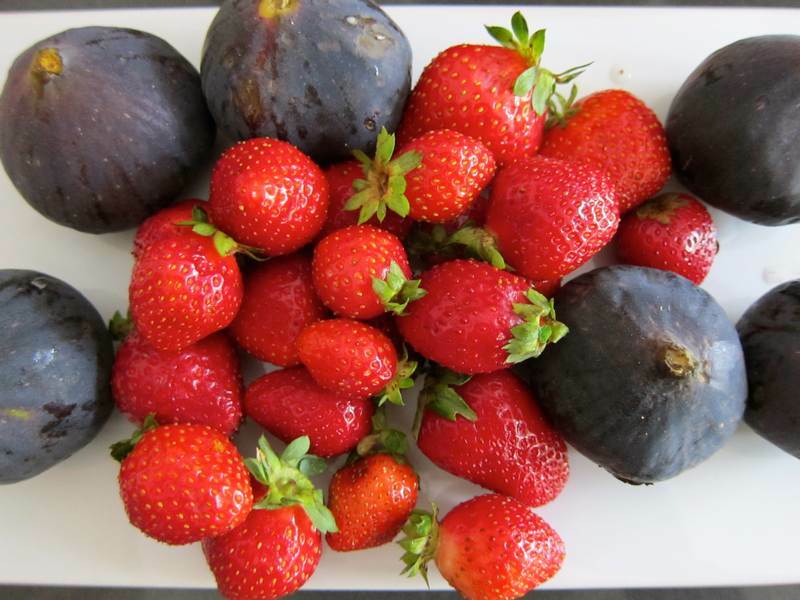 Blend until white and frothy in a VitaMix or very strong blender. 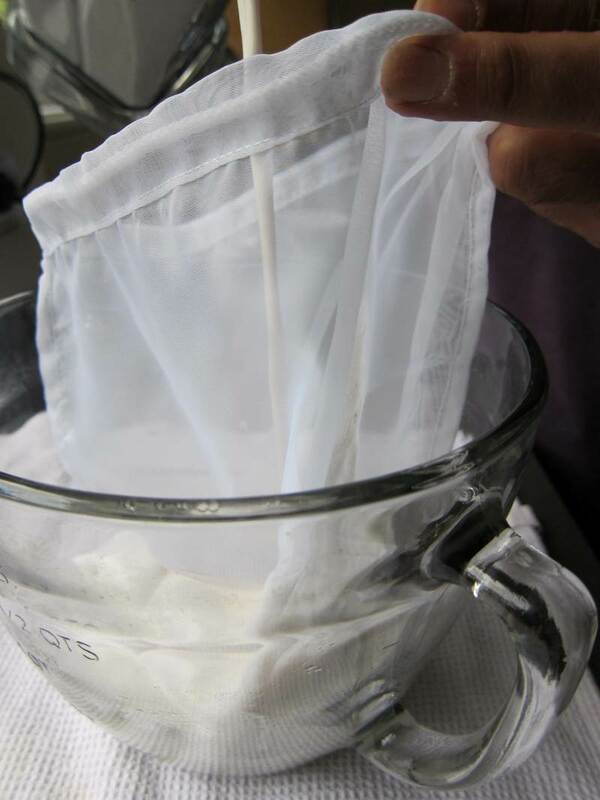 Strain into a bowl through a fine mesh bag. 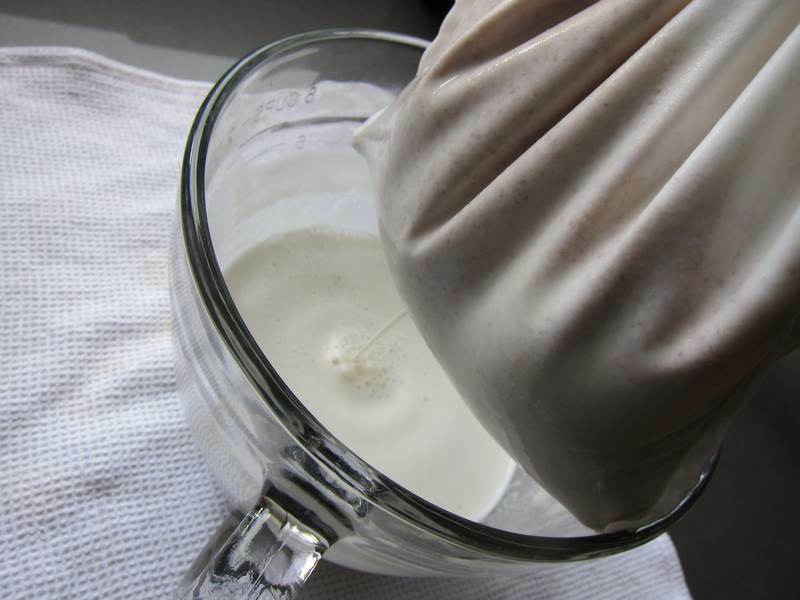 Twist and squeeze the bag until all the almond milk drains into the bowl. Enjoy the fresh almond milk straight up or in a recipe that calls for milk, such as Chia Seed Porridge, or Chia Seed Porridge Lite. Store the milk, covered, in the refrigerator for a few days. Reserve the almond meal solids for the Almond Spread recipe below. Mix ingredients, adjusting seasoning to your taste. Serve on bread, crackers, in celery sticks or on cucumber slices. 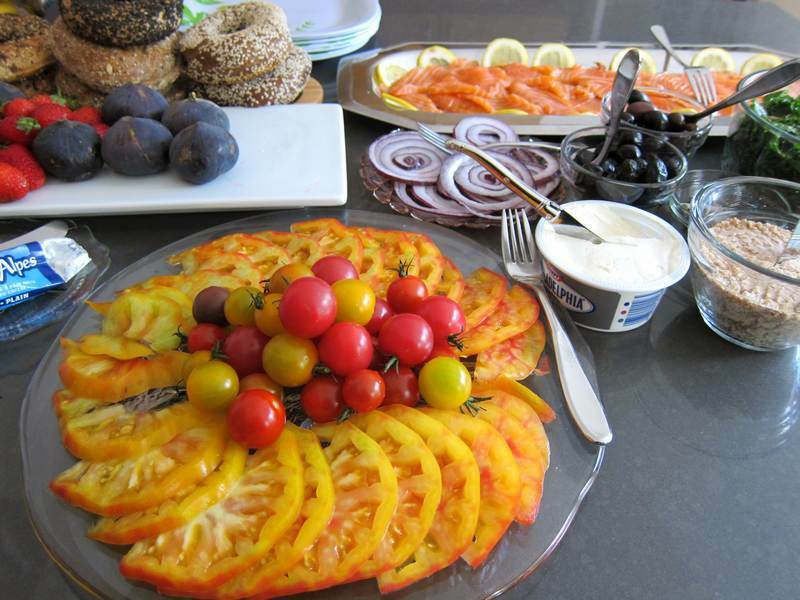 Here is a photo of a family brunch including the Almond Spread on the far right. Thanks to my brother Eric for guiding this process. He did try to get me interested 10 years ago. Better late than never! You can use the almond meal in baking recipes. Find out how to bake with almond meal in Nature’s Nurture blog or by checking out the related articles below. The best-tasting tomato pictured above (yes, that is just one tomato) and the beautiful strawberries pictured below are from the organic food store, L’autre choix mini marche. Are you looking for a fabulous Cedar-Plank Salmon Recipe? Wow, I didn’t realize it was so easy to make your own almond milk. Thanks for sharing! Thanks for this post – why filtered water? Maybe now can we start getting filtered water at work?